When babies graduate from bottles to solids, it seems like there are never enough bowls to accommodate their growing needs - or to contain their inevitable messes and leaks! At least, until now. Munchkin Love-a-Bowls are 100% guaranteed to be spill-proof, leak-proof, and break-proof. Rest assured, they're also safe for use practically anywhere, including the microwave, freezer, and dishwasher. 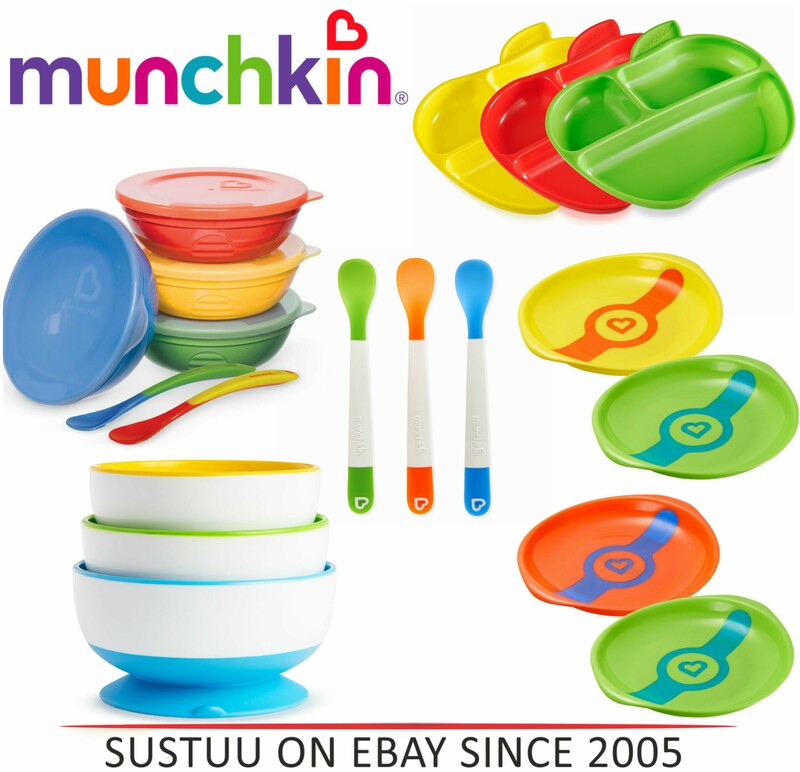 This set of four interchangeable bowls comes with four lids and two soft-tip spoons, making it the perfect starter for the early days of solid feeding. Just right for everything from baby food to toddler snacks, these bowls are easy to store and easy for busy mums to take on the go. And when it comes time to put them away, they stack oh-so-neatly for easy storage. Stack up and stock up on this bright feeding set - the bowls and spoons are sure to earn a permanent place in your kitchen (and your heart).